Surprising fact: this is not the first time Star Trek has dipped back into the well of the Mirror Universe. It’s remarkable that a single episode of the original television series became such a mainstay of the franchise despite never being “officially” used again until Deep Space Nine went back there thirty years later, and then Enterprise doing the same in one of its less lamentable episodes. The fact is, though, that Trek’s novels and comics went back to the Mirror Universe on multiple occasions, including several takes on the Next Generation franchise. 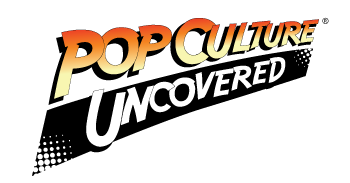 The thing to remember is that Star Trek‘s expanded universe has been even messier than Star Wars‘. While Star Wars tied itself in knots trying to find a way to ensure that every story ever published “happened,” Trek repeatedly jettisoned its prior stories in favor of new ones…such as with the Mirror Universe. So, for example, the 1993 novel Dark Mirror gave us the very first attempt at a Mirror Picard and TNG crew. None of that was reflected in the later DS9 episodes, though, and in fact, we got multiple extra-show takes on Mirror Picard, none of them having anything to do with the Dark Mirror version. 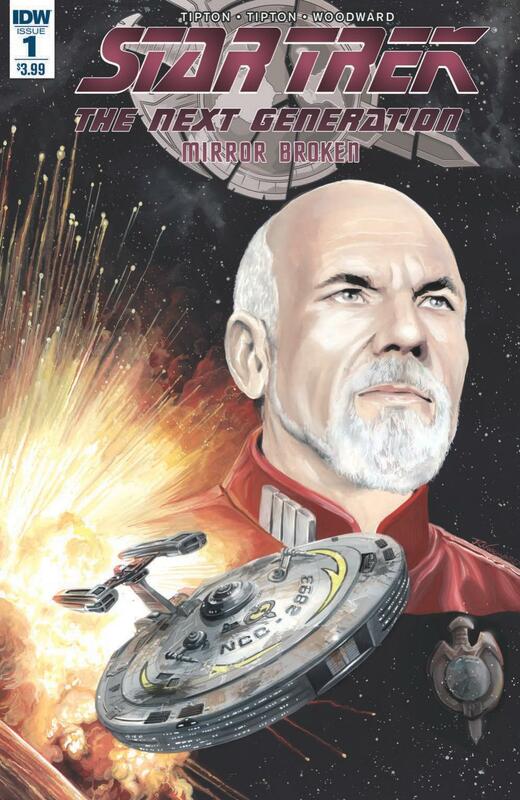 So, here we are again, with IDW apparently saying “what novel?” to prior TNG works and taking an apparent fresh spin on the mirror universe relative to Picard’s era. Which…you know what, that’s fine. With the Kirk-era crew getting revived in the Abramsverse right now, we’re frustratingly short on TNG-material right now…but at the same time, there’s little that can be done with the TNG-crew (the actors are all still very alive, and their story is otherwise finished). So why not look at them through a mirror darkly? Not to be too cliche, but the Tipton boys give us a look at Picard and company that’s both fresh and familiar, and just a little disturbed. The story acknowledges the original “Mirror, Mirror” episode and looks ahead to the DS9 story by setting us square in the period where the Terran Empire is collapsing due to increased pressure from the Klingons and Cardassians. The Empire is a sad shell of its former self, but the dark Picard seems to be the only man with the ambition to take things further. And so he begins gathering allies so he can take command of the Empire’s latest rumored ship…. What’s surprising is how enjoyable this twisted version of the crew is–they’re very much themselves, except where they’re not. Picard is a calm, collected thinker with the best interests of the Feder…Empire in mind, except those best interests are to propel his own career forward. Troi is still a Girl Friday advisor to Picard, but with a hint of sexual mischief present on her face. Data is emotionless yet inquisitive, but curiously, more detached from humanity than his “good” counterpart. And so on. The Tiptons write the characters well enough to make them legitimately friendly and enjoyable…up until they open their mouths and remind you that they’re greedy and ambitious. Woodward’s art is also pretty good, for the most part. Franchise-adapted comic art often runs the risk of being a cheap imitation of the actors’ likenesses, but Woodward makes these characters legitimately look like Patrick Stewart, Marina Sirtis, and the like. His scenery very much invokes the TNG environment, yet creatively run through the filter of a decrepit and twisted universe. The art runs a little static on occasion, but he more than makes up for it elsewhere in the story–Picard’s slaughter of some Cardassians being one such example. The only shame of this story is that it’s limited to a miniseries. Evil universes can’t run forever, and this story would need to eventually progress to where things end up in the DS9 mirror episodes. There’s plenty of questions about what this world is like–such as, where did Data get all that Borg equipment? Time will just have to tell how the rest of this story goes, but so far: it shows promise. Rating: Four and a half warp drives out of five.